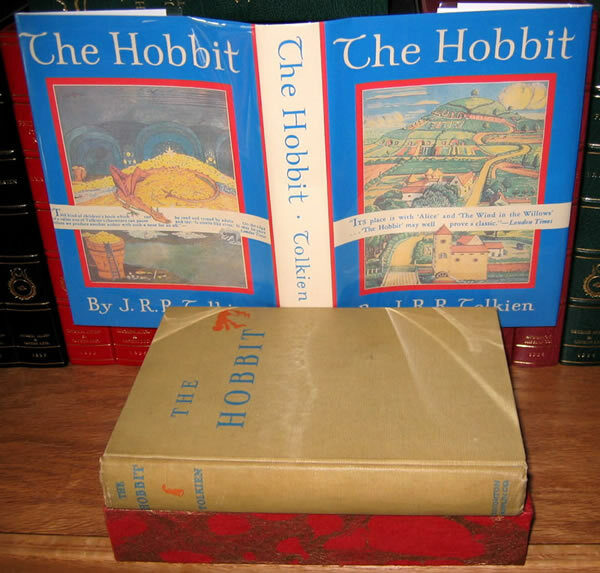 1st US Hobbit - 2nd State facsimile dj with slipcase - SOLD A very nice copy of an extremely collectable Tolkien book. 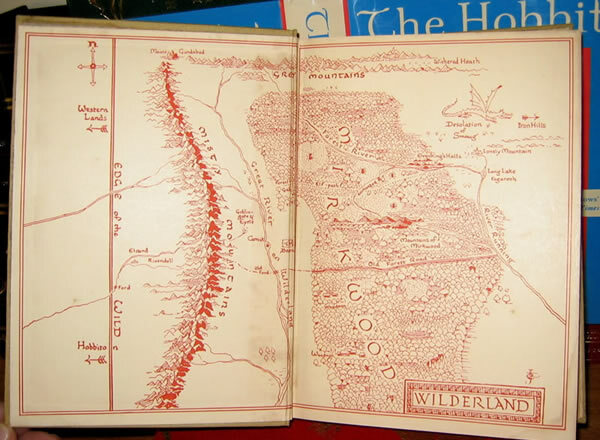 A very nice copy of an extremely collectable Tolkien book. This is the 1st Edition, 1st Impression, 2nd State, with the publishers device on the title page. The maps are bound to the order, as per Hammond and Anderson. This book also has the half title page as called for. 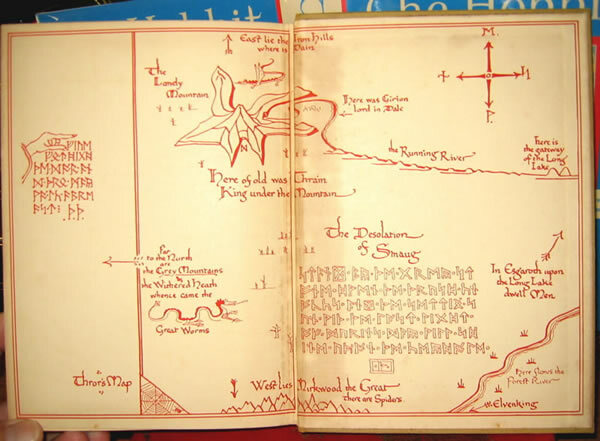 It features the 4 color and 9 black and white illustrations by Tolkien, all of which are present and in extremely clean and bright condition. The text block and maps are also very clean and bright, with only the lightest foxing on a few pages. The only fault is a little glue has soaked thru on the rear map. No names or inscriptions. No bumps to the edges or corners of the boards. The original cloth shows very little shelf wear on the bottom edge. The cloth of the spine shows slight wear to the top of the spine, but not frayed. Overall the boards are very clean with no loss or frayed edges. I have provided a one piece fascimile of the very rare 1st Dustjacket, as well as a custom matching cloth slipcase to help protect and show off this lovely classic of modern fiction. 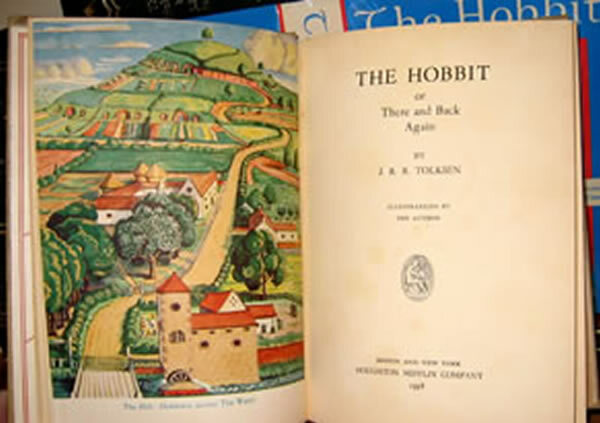 Read more about the first American edition of the Hobbit here.